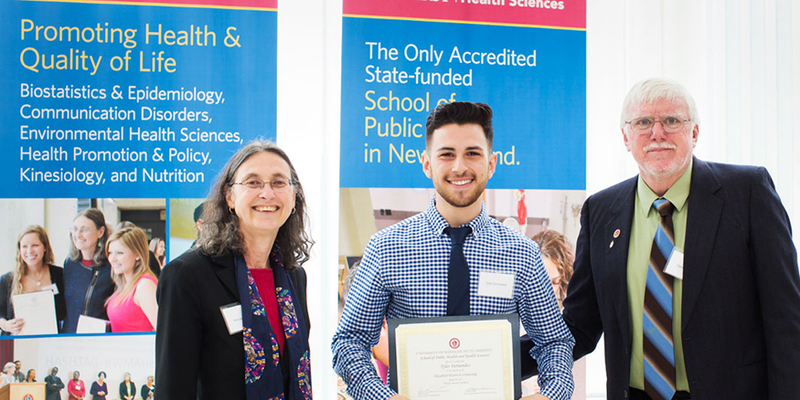 The Department of Health Promotion and Policy strives to strengthen its standing as a nationally competitive, major research and teaching program. In doing so, we also strengthen our ability to provide a valuable service to the Commonwealth, the nation, and the world. We do this through innovating and growing our programs, equipping our labs and teaching spaces with the latest technology has to offer, hiring the best educators and researchers, and attracting a bright and diverse group of students. Your philanthropic support will ensure our continued excellence and provide us with the resources necessary to educate the next generation of leaders in Community Health Education and Health Policy and Management. There are several ways that you can participate in supporting the Department of Health Promotion and Policy, and we are grateful for all contributions. Make a gift to the Department. If you have questions or would like more information about giving options, please contact David Catrambone, Director of Development, by phone at 413-545-1766 or by email at dcatrambone@admin.umass.edu.